Thanks to Jennifer who made this comment on my blog yesterday about the availability of the Flip-Pal scanner in Australia. I had previously blogged about my nifty little unit that I purchased at Rootstech in February this year. A number of readers were frustrated because they could not purchase one in Australia. At $AU219 the price is more than that in the US (but isn't that always the way for tech in Australia). This place in Australia appears to sell it. Today, 30th November, is the feast day of St Andrew, patron Saint of Scotland, and a Bank Holiday in Scotland. I send greetings to all Scots especially those Scottish cousins we hope to identify some day. Mr Geniaus and I have a few Scots in our family tree so I thought I'd see if any of them were named after the Saintly Andrew. A perusal of our combined trees returns only one Scot named Andrew. Andrew Sibbald, my husband's 3rd cousin 3 times removed was born in Tranent, Haddingtonshire, Scotland in 1874. The son of James Sibbald and Elizabeth Cunningham, Andrew appears on three Scottish Censuses 1881, 1891 and 1901. At the age of 27 in 1901 he was a ploughman working at Overton House Cottage, Kirknewton and East Calder in Scotland. Are there any Scottish Andrews in your tree? Have you been looking at those discounted airfares to the US and wondering whether you should bag a bargain fare and head to Salt Lake City for Rootstech 2012? Are you a foreigner like me thinking there may be nothing on the program to interest you? The conference sessions (or classes as they call them in the US) on offer at Rootstech have international appeal. At this year's conference I found so many topics that piqued my interest that I had difficulty choosing which sessions to attend. There may have been some very UScentric presentations but I must have glazed over them as there was so much else with international appeal leaping out from program. The technology focus of talks at Rootstech has universal appeal as the software and hardware under discussion is used for genealogical activities all over the world. In our global village we share similar issues no matter where we live. As an Australian with British heritage I found a lot at the Rootstech conference to amuse me. As well as speakers from Britain and Ireland there was a good representation of exhibitors from abroad. Companies like BrightSolid and FindMyPast cannot afford to send representatives to our small Australian conferences but it is economically viable to have a presence at a large event like Rootstech with over 3000 delegates. I do hope BrightSolid appear in 2012 so that I can have some free access to the new British Newspaper Archive. In 2011 I particularly enjoyed being exposed to a range quality keynote speakers that I would never get to hear in my home country. An examination of the program for 2012 indicates that there is another stunning lineup on offer. With earlybird registration closing on November 30 it is time to ACT NOW and save yourself $60 on the full registration fee. Should you have any questions about attending this event do not hesitate to contact me. I am an Official Blogger (the only one not from North America) for the conference and would be thrilled to chat to you. I wish my local libraries at Hornsby and The Hills stocked this fab magazine. Sadly they don't appear to. Do you know Roy Woodward? Here is a picture of my Uncle Tom, Roy Woodward and my Dad, Allan Cury, taken in 1937. It looks as though they were having a break from the farm as I can see a Sydney tram in the background and the boys are dressed up to the nines. Maybe they were visiting Taronga Zoo or the snakes at La Perouse as trams travelled to these places. I never heard Dad mention Roy Woodward so he is a mystery man. Dad would have been 18 when this photo was taken so I imagine he had reached his height of 5 ft 10 inches. It looks as though Roy Woodward was a tall young man. As my Genimates in the US gather with their loved ones in warm homes and get ready to tuck into huge feasts of scrumptious food they will give thanks for the blessings that have been bestowed upon them. I wish you all a Happy Thanksgiving and hope that you enjoy your time together. Perhaps at this time you could spare a thought for those families around the world who do not share such bounty. If you and your family could gather $25 between you it could help a family in need. Take a look at the Genealogists for Families Project and see how you can Make a Difference this Thanksgiving. The Genealogists for Families Kiva project is a group of genealogists that care about families (past, present and future). Non-genealogists are welcome to join our team. We believe that small loans can make a big difference. From my Dad's collection this photo is simply described as "Shearers Cook - Fairview 1937"
Fairview, Canowindra, NSW, Australia was a property managed by my grandfather, Thomas William Curry. My Dad left school at age 13 to help his father on the farm. Shearer's cooks travelled from property to property at shearing time to cook meals for the shearers.They prepared three main meals and two "smokos". What do you get for $129 Genealogy Dollars? 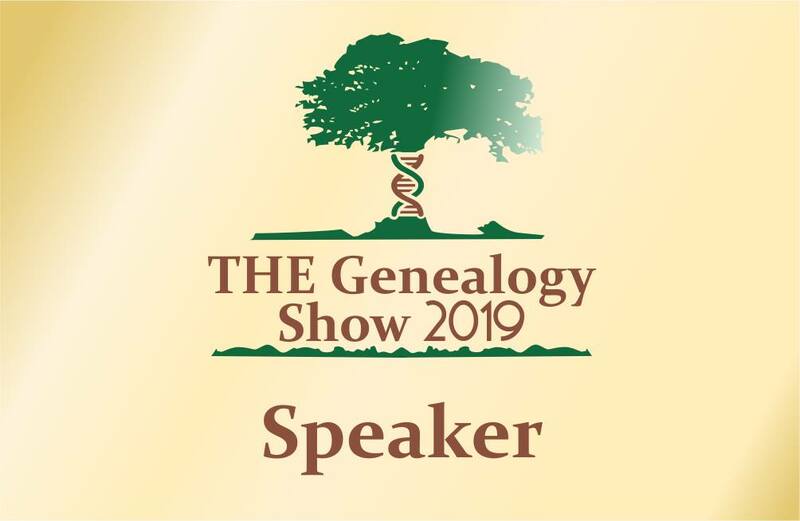 Three days of lectures from noted genealogists and technologists, opportunities to network with 3,000 people with shared interests, exposure to an exhibition hall brimming with vendors of genealogical products. If you are quick and take advantage of the Earlybird Registration for the Rootstech Conference in 2012 you can get all that Option 4 offers and more. But you had better be quick Earlybird registration closes on November 30th. I have been chuffed to discover that some of our younger generation have consulted the family tree in addition to books of baby names when considering names for their new bubs. Whether by coincidence or design I was delighted when family names have been bestowed on some of our grandchildren. My eldest granddaughter bears the name of her great-grandmother, my husband's name and his father's name have been used as middle names, my mother's surname has been used as a forename and two grandsons have their maternal grandfathers' names as middle names. My baby granddaughter has the same name as her paternal great-grandmother and maternal great-great-grandmother. Because of the confusion that can arise from having two people in the same house with the same name I would not let my husband bestow his name on our sons. He did, however, manage to get his and his father's names used as the boys' second names. It was a coincidence that our youngest daughter bears the name of a few female ancestors on both sides of the family. When I was teaching I always felt sorry for those poor kids whose parents had given them unique names or popular names with unique spellings. I now realise that these parents must have been genealogists wanting to make them easy to find for future descendants researching their ancestry. I notice today the Swinburne University are seeking Australians to answer an online survey: "What's in a name?" where they ask about "How did you name your children? What does your surname mean to you?" If you have some spare time how about helping the researchers out? The Australian summer is here in full force, today we expect the mercury to reach about 37°C. As I learnt on Friday this weather is not suitable for tramping through cemeteries. I was so excited after listening to a webinar (Virtual Chapter Presentations) hosted by the Utah Genealogical Association on BillionGraves and Familysearch that when the webinar concluded I popped into my little Bambino and headed for the nearest cemetery. Although we were advised in the webinar that shady weather provided the best environment for taking photos of headstones I just could not contain my enthusiasm. Thanks to the Utah Genealogical Association who have opened their webinars (Virtual Chapter Presentations) to the public. Firstly moderator, Suzanne Curley welcomed each of us as we joined the session. I then enjoyed Tim Cross's presentation; he had a relaxed style using appropriate but not too many screenshots augmented by live demonstrations. Tim provided relevant answers to the questions posed by the 46 or so online participants. The Society hosts one of these meetings on the third Thursday of each month except December. Details can be found on the society website. A perusal of the topics indicates that they are not UScentric but are relevant to an international audience. The timing of the webinar at 1 PM Sydney time is perfect for me and many other Australians. I recognised a couple of other Rootstech Official Bloggers, Sue Maxwell and Renee Zamora, in the group, I also noticed Banai Feldstein and Roger Moffat asking questions of Tim, there were also participants from Canada and the Philippines. I chose the Dural Uniting Church Cemetery for the first sortie as my husband has a direct ancestor and her daughter buried there. This cemetery has already been photographed with images available on Australian Cemeteries Index but I will photograph the headstones for BillionGraves as I believe having GPS coordinates will benefit others who wish to visit and find graves and the affiliation with FamilySearch will, in the future, have exciting benefits for many genealogists. It was an easy task to upload my photos to the BillionGraves site on my return home. I was a bit hard on myself and did not upload all the photos taken because, in the harsh sunlight, I had difficulty seeing on the screen of the tablet what I was photographing. Having a at other photos on the site I realise that I should not have deleted mine. Ashady day would provide better conditions for this task and more comfortable conditions for the photographer. A number of other tips for photography were given in webinar and are also available on the BillionGraves site. We were told in the webinar that we could add transcriptions to our own photographs but the time I worked out how to do this someone else had transcribed them. What was disappointing about this was that they had not all been fully transcribed, the names and dates had been added but the additional information fields had been ignored. I wonder if this is because those transcribers are in the race to get their names on the leaderboard for the most transcriptions done. It was an easy task to open and edit the records to add the extra information. I have also transcribed a number of other images on the site, this is a simple task that can be done whenever one has a few spare minutes. Another reason I had for going out and trying the Android BillionGraves app that was already installed on my tablet is that I want to discuss it in my presentation The Galaxy Girls at Rootstech 2012. I will now be able to discuss the app with some authority. If it's cool in your neck of the woods and you have either an Android phone or tablet or an iPhone why not download the app and test it for yourself. You can help build the BillionGravaes database from the 310,000 images it is today to the projected 1 billion. Synced to my Google tasks from on my Android Tablet is my travel bucket list of places I to visit, this includes, countries, cities and places of interest. It is a useful resource that I refer to whenever I am planning a trip. If a day's detour from a draft itinerary will take me to a place of interest then I adjust the itinerary to include it. I am thinking of putting together a Genealogy Bucket List. A list of things to do, places to visit and speakers to hear that may not be directly related to my personal family history but to my growth as a genealogist or family historian. Visitng the Family History Library and attending Rootstech last year were two items that were on my bucket list but, six days in Salt Lake City was just not enough time to satisfy me so further visits remain on the list. Other items I would add are attendance at WDYTYA Live in London and at The Federation of Genealogical Societies Conference. I would like to join fellow genealogists on a genealogy cruise. Meeting up with some of my fellow geneabloggers from Australia and overseas is also on the list. Meeting these friends in person would give me a real buzz. Further study in the area of family and local history is something I also want to undertake. Having written this I just discovered that it was a topic for Randy Seaver's SGNF back in July. Great minds think alike! When I post this I'll add this link to Randy's earlier post. What is on your Genealogy Bucket List? animal. It can even be a poem you or one of your ancestors have written! of someone performing the song. I immediately thought of the great Australian ballad writers Henry Lawson and Banjo Patterson for this challenge but thinking about my Irish catholic ancestors who lived in the bush I elected to share a poem by John O'Brien. John O'Brien was the pseudonym for Catholic priest, Patrick Joseph Hartigan. O'Brien's poems have a special meaning for me as my Grandmother, Mary Tierney, gave me a book of his poems that she owned when I was quite young. I treasure this book today. I have fond memories of reading these poems with her. I especially loved performing the poem I have chosen as I loved putting emphasis on the word "rooned" that is repeated throughout it. For people living in the bush as my Irish ancestors did the social aspect of Sunday Mass was most important. It gave them a chance to talk about the effects of Australia's harsh elements on their farming activities. I can imagine my ancestors gathered on Sundays in Dungog, Cobar, Cowra and Canowindra taking part in conversations similar to that related in this poem. When working with my son, a surgeon, in his rooms during recent times I heard him dictating his medical reports at a rate of knots via voice recognition software. I was so impressed with the accuracy of his package to deal with complex medical terminology dictated at lightning speed that I vowed to purchase similar software for myself. The Dragon appeared at my house about a month ago. Since them I have been working on taming it and making it work for me. At times the Dragon amazes me with its accuracy and at other times causes me great frustration. I will continue to work with the Dragon NaturallySpeaking Premium Version that I have installed on my laptop computer. I am amazed when the software accurately records proper names and place names and some quite complex phrases and sentences. What I find intensely annoying is its poor recognition of the full stop command and some simple words such as I, me, the, et cetera. My arthritic fingers appreciate being liberated from the typing task. When I don't have to type I find that I am able to concentrate more fully on the subject matter about which I am writing. When I dictate into Dragon the quality of my writing seems better in the first draft and I don't have to spend so much time on subsequent editing. There are of course no typos from Dragon when it is doing its job. I have used the Dragon in a few applications including Blogger, Outlook, Google Docs, Microsoft Word and even in Twitter. Dragon's accuracy in each of these programs is of a similar standard. Reading this reminds me that I must try Dragon in Excel and Google spreadsheets, programs that I use regularly. Dragon is a complex piece of software with many VoiceCommands that one can employ to streamline dictation process and other tasks such as Internet searches. I am hastening slowly with this new tool consciously teaching myself a couple of new commands per week and others on a needs basis. My previous experiments with voice recognition software have been disastrous. I am quite positive about this new product and expect even better results as it becomes more familiar with my vocabulary and voice. Congratulations to Michelle Goodrum from The Turning of Generations blog who is the winner of my competition for a Free Registration to the 2012 Rootstech Conference in Salt Lake City in February. Michelle, your determination has paid off! Entrants were asked to " Browse through the presentations on offer in the Rootstech Schedule and select a presentation that would benefit a foreigner from downunder like me. You can see my interests on this blog, profiles on Twitter and Google+ or my family site." Michelle responded on Google+ and emailed her contact details to me. I look forward to meeting up with Michelle at the conference in February and in the Evernote session she suggested I attend. Thanks to the people at Rootstech for providing this prize for my blog readers. I've booked for this talk by Kerry Farmer who always gives a polished presentation. I am a genealogy event junkie who regularly attends talks, seminars etc. 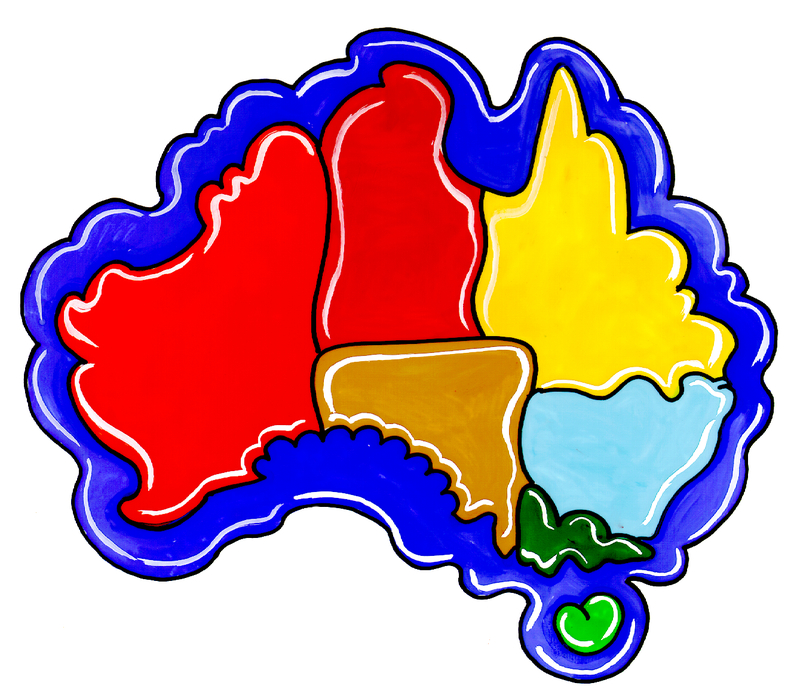 around Sydney, on various topics related to family history. Sometimes I am familiar with the content of the talk, at other times the material delivered is new to me. However, I always learn something that I can apply to my practice. At times I criticise speakers for their lack of speaking and presentation skills but I have not, until recently, heard a speaker who demonstrates a lack of knowledge of the topic under discussion. All other speakers I have heard have possessed a deep knowledge of their topics. This has posed a quandary for me. The audience at this event was made up mainly of beginning genealogists who listened intently and took notes during the presentation. This talk was riddled with inaccuracies and misinformation with the speaker being unable to answer simple questions on the topic. I chimed in with answers and extra information a few times but did not want to be a fly in the ointment during the presentation. The presenter was confused enough as it was. My concern is that these newbies have gone away from the talk with a load of codswallop. The speaker's intentions were honourable, they had a nice personality and demonstrated a willingness to help others. It appears that the hosting institution asked this presenter to speak on this particular topic, the presenter stated that they went away, did a bit of homework and prepared the talk. Unfortunately that homework lacked the depth needed to present this topic adequately. So what do I do? Do I write to someone at the hosting institution telling them my concerns? Do I let sleeping dogs lie? It's two weeks since I journeyed to Mosman Library for a talk on this book by author, Nan Bosler. It would be remiss of me to miss a post about this event. Nan was accompanied to this event by the subject of her book, Bob Waterer, and the book's editor, Pat Frater. Finding a leather pouch hidden away at the back his late sister's wardrobe led Bob to discover his aboriginal heritage when he was around 80 years old. The certificates found sparked an interest in Bob to find out more about his ancestry. Bob learnt that he is descended from Biddy Wallace, a member of Bungaree's Broken Bay clan. At the Mosman event Bob conducted the most meaningful Welcome to Country I have ever heard. Nan Bosler talked about the research leading up to the publishing of the book "The Story of Bob Waterer and his family" that has been financed by a grant from Manly Council. Bob, who is now in his late 80s, shared a few anecdotes with us. This fascinating family history tells about life on the early Hawkesbury River, Scotland Island and Pittwater. Bob's grandmother, Catherine Bens, was known as the Queen of Scotland Island. Although I have not read my copy in its entirety the book promises to be a most interesting read. The list of references at the end of the book is a very useful resource for historians and genealogists with similar interests. It would be a valuable addition to local history library collections in the areas covered. It is not my usual practice to advertise on this blog but if you are interested in purchasing this book you may contact donandpatfrater@bigpond.com for further details. Thanks again to the people from Mosman Library for staging such an inspiring free event. Last week's Morning Tech Routine post ended with a question. "So What's your Morning Tech Routine? Do you have one?" As well as getting a couple of comments directly on my blog post quite a few bloggers answered my question on their blogs. 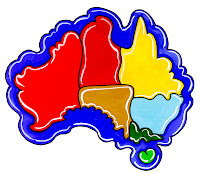 I have enjoyed reading their varied responses from Randy Seaver who talked about being a Technosaurus to Pauleen Cass who mentioned that communicating online with genealogy friends helps diminish the feeling of isolation that comes with living in The Northern Territory of Australia. Quite a number of my fellow Official Bloggers for the 2012 Rootstech Conference also responded. Thanks to all of these Genimates for their responses. As well as finding out about dead people I am so interested in the practices of those who share my genealogy passion/obsession. I have learnt something from each of your posts. The collection of posts makes a good resource for anyone wondering about the use of Social Media in genealogy so I am creating a list here for those who may be interested. Apologies if I have missed a post or two - I am just listing those that I found, others my have escaped my attention. Please let me know of others to add. If you want to promote your business,website or blog it's time to get on board with a Google+ page. This guide will walk you through the process. On his Destination Austin Family Blog Thomas MacEntee has revived Craig Manson of GeneaBlogie's meme from 2009. Thomas says " Why so? Well this meme actually helps the genealogy blogger create "surname bait" for other researchers to find out on Google and other search engines." Busy weekends are not the best time for responding to Saturday challenges. It's a quiet Monday morning in Sydney so I now have time to devote to this task. What it has done is to make me reflect on my direct ancestors, it is too long since I revisited my research on them in an ordered manner. I have spent most of my time recently on my husband's and grandchildren's lines. It is now time to take a look at new resources to see if I can find any new leads on my Irish ancestors and many convicts. CURRY surname: Ireland (Limerick County) 1800-1825, Australia (New South Wales, Camden) 1825-present, Australia (New South Wales, Canowindra) 1900-1950. Geniaus is a greedy girl I cannot choose just one ancestor, I want to find them all. Have you noticed the Help! tab on this blog? It contains a personal invitation to you, my dear readers. I think that most of you who read this blog live in fairly comfortable circumstances and could spare a little to help others who are not so fortunate. As the season of giving approaches please take a look at my invitation and and see how you can join over 80 other genealogists who are helping families from around the world. Do you know Jack Bales/Boles, Skewy Chefers or Jack Grant? Taken in 1941 at East Hills according to the notation by my father on the reverse side this is a photo from his Army days. I think it may have actually been after July 1942 when my Dad joined the forces! During 1942 Allan John Curry was stationed at Holsworthy Army Barracks near Liverpool in Sydney, NSW. I cannot find mention of a camp at East Hills so presume that the boys in this photo were at East Hills for some sort of swimming carnival or perhaps a bit of R&R. 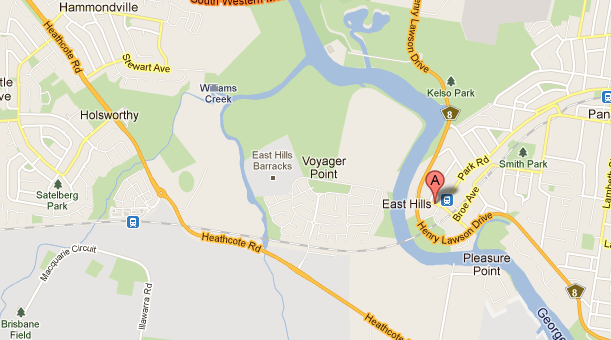 Maybe they were taking a dip in the nearby Georges River. I'd love to hear from anyone who knows the other boys in the photo. I am happy to send you a higher res of this image whose original is a typical tiny old print. 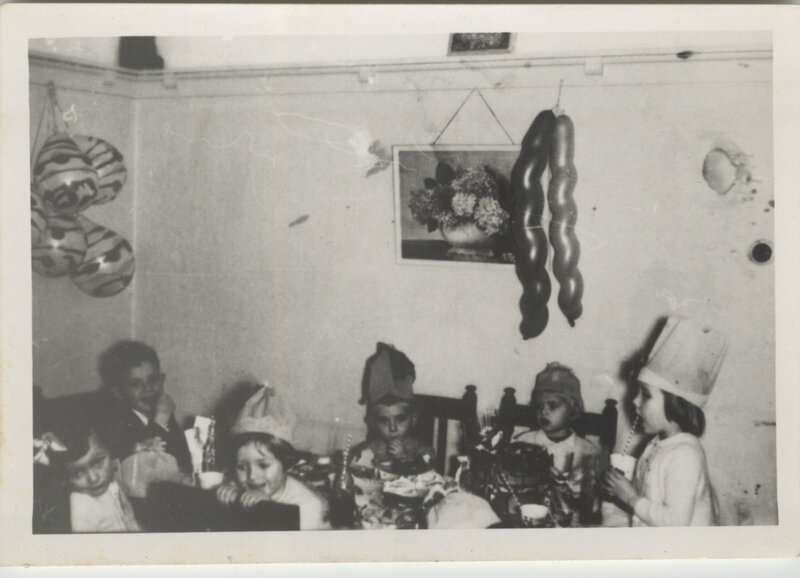 Following on the advice of Lorine McGinnis-Schulze I have been using my Flip-Pal to scan old photos while sitting on the couch watching television or babysitting. I have just scanned several hundred of my Dad's many of which are labelled. There are some images of people I have never heard of - army mates, people from his home town, Canowindra, and some colleagues from the NSW Police Force. There are labelled images of places where he served in the war plus some great historical images of the Canowindra area. Similarly Mum has photos of people from her youth plus a few images of the Cobar area. These images would be a valuable resource for those researching these people and places. So, from time to time, on this blog I will post one of these photos and maybe someone with an interest might contact me. These posts probably won't be too relevant to my readers in the Northern Hemisphere but with luck they might just reach a relative over the seas. Genealogists - What's your Morning Tech Routine? I read this post today on ReadWriteWeb where a number of techies responded to the question "What's your Morning Tech Routine?" Blogger Joe Brockmeier said "Everybody has a morning routine, and most of us in the tech industry have a morning routine of getting in touch with the rest of the world." The responses got me to wondering what other genealogists do. Do you leap out of bed and leave world and genealogy news until you have time? Do you have a special time of day allocated to catching up on the news? Is it on the commute to the office? Do you sit in bed with a coffee like I do and catch up before rising? What do you check first - world or genealogy news? 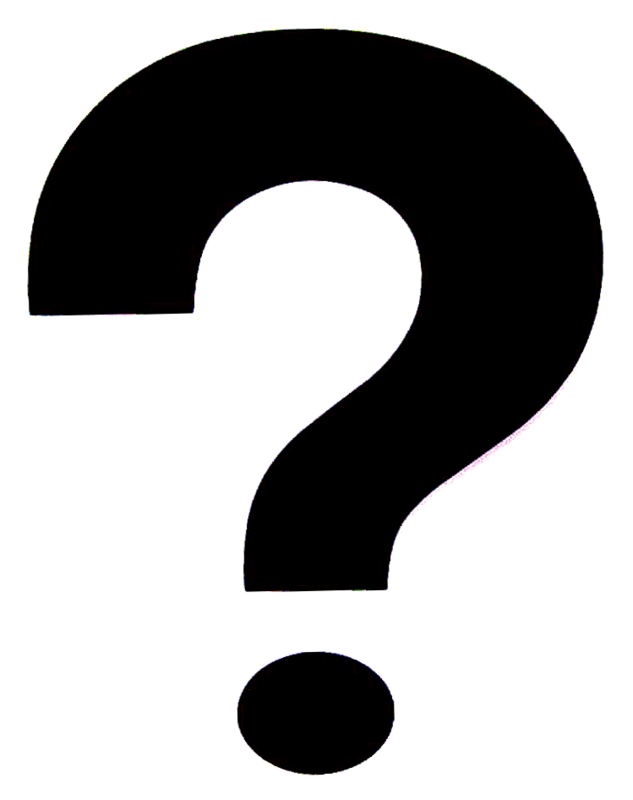 Where do you visit first - Twitter, Facebook, Google+, RSS feeds or your email? As Australia is in a different timezone from most of the world lots of news arrives while I am sleeping. When I wake I grab my Android Tablet that sleeps beside my bed. I head straight for the big three social media sites: Twitter, Google+ and Facebook before I look at my RSS feeds. I don't seem to get as much email these days, moost of my messaages are email alerts, so I might check this first. 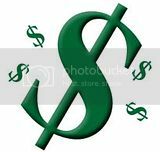 While I see news of the world via athese media most of the content I look at is related to genealogy and family history. If I see a bit of world news that I want to follow up I check out the Sydney Morning Herald and the ABC News apps. This all takes quite a while as I like to collaborate by sharing and commenting on others posts. Once I am up and about I turn on the computer in the kitchen and periodically check in to each of these during the day. If I am going out for the day the tablet travels with me and, if I am not the driver, carry out my morning routine while on the move. So What's your Morning Tech Routine? Do you have one? I am so annoyed with myself because I have lost the notes I took at yesterday's Hawkesbury Family History Group Meeting and it was a cracker of a meeting. Therefore I cannot give a decent report of the meeting. I took my notes on GDocs Notes on my tablet computer and was unable to sync them to Google Docs because reception from my carrier, Telstra, is so poor in the meeting room. I think at some stage I must have inadvertently deleted my text. Luckily I had taken some photos of the items that members have brought along for the "Show and Tell" session at the meeting. Each short presentation was unique and interesting, I congratulate everyone who shared an artefact and its story with us. I found this meeting so much more interesting than I sometimes find those with just one guest speaker. The articles shown included a medal for clog walking, certificates for Sunday school examinations, a metal hook from the fireplace of a house now demolished, a family Bible, family photos, a pharmacist's metal engraved plate, several books and some original indenture papers from the 19th century. I am always banging on about speakers needing to have passion and each of these speakers yesterday did because most of the items they spoke about related to their own family histories and meant so much to them. I was so impressed with the amount of research that had been done to find the stories behind the artefacts. It was my first time as a "Show and Tell" girl, I can't wait for next year's meeting. Now that I have a better idea of what to do I will be better prepared. Should your society be thinking of having a "Show and Tell" session go for it. 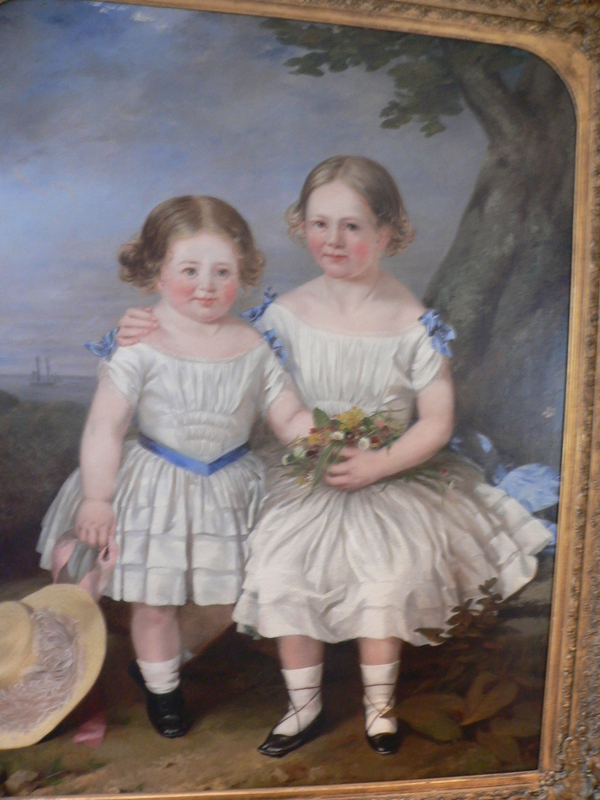 I wrote previously about the generosity of the English cousin we visited earlier this year. One of the gifts we received was a painting by one of my husband's distant relations, Edith Berta Angus Gowans (known as Berta), who is his second cousin twice removed. Berta was a spinster who had no direct descendants so she gave many of her treasures to our cousin who happens to be a bachelor with no descendants. Generously he wanted to share some of the treasures with other Gowans family members who would appreciate them. 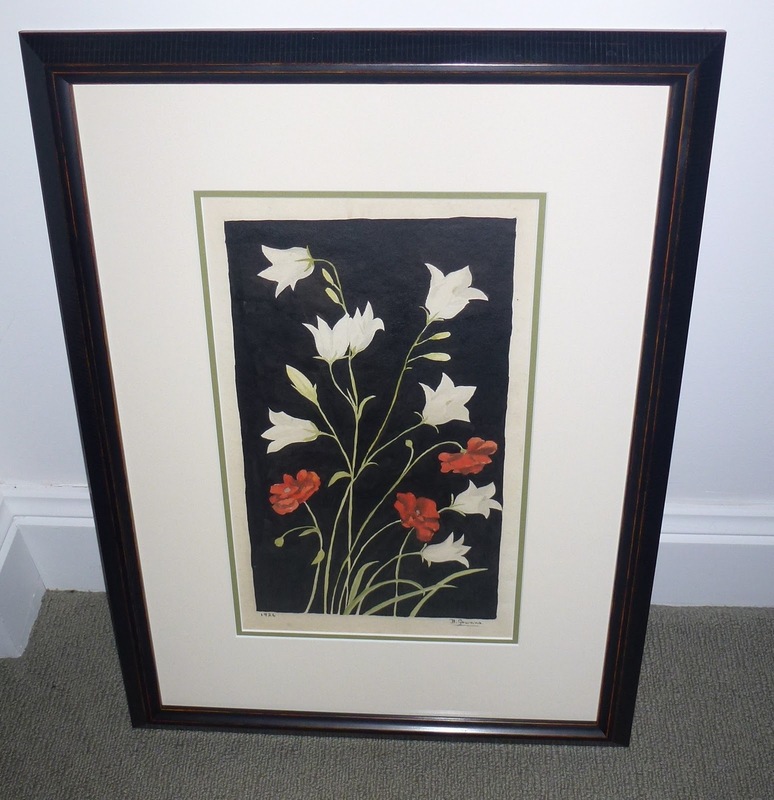 Our new painting is dated 1926 when Berta was 19 years of age. Berta was one of three daughters of opthalmic surgeon, Thomas Gowans and Mary Berta Angus. Berta and her sisters, as genteel young ladies, probably would have spent a deal of their leisure time engaging in the ladylike pursuit of painting. The powers that be at Rootstech have given each of the Official Bloggers a free registration to the 2012 Rootstech Conference to give away via their blogs. My fellow Official Bloggers Amy Coffin, Joan Miller and Lorine McGinnis-Schulze have already announced their competitions and Amy has awarded her prize. Unless you have been hibernating or sleeping under a rock you will know that the Rootstech Conference is to be held in Salt Lake City from 2-4 February 2012. I hope to see you there. Somehow I know that my Australian readers won't be entering a competition to win this prize as, to attend the Conference, they would have to find a couple of thousand extra dollars for flights and accommodation to go with the free rego. 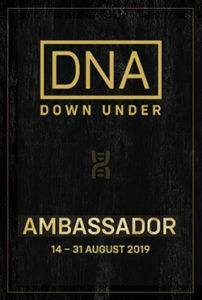 There may, of course, be an Aussie out there who is planning to attend but who hasn't gotten around to registering yet. Those of you from other lands who actually read my blog, probably stand a good chance of winning the prize. 1. 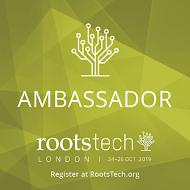 Browse through the presentations on offer in the Rootstech Schedule and select a presentation that would benefit a foreigner from downunder like me. You can see my interests on this blog, profiles on Twitter and Google+ or my family site. 2. Firstly send a tweet to @geniaus or a short Google+ post to your genealogy circle and +Jill Ball naming the presentation you recommend and stating your reason for this (be sure to check my profile pic to make sure you have the right Jill Ball). 3. Secondly email jillballau@gmail.com.com with your contact details so that I can notify you when you win the prize. The contest will close at Midnight GMT (Greenwich Mean Time) on Wednesday 16th November, 2011. There will be only one winner of a free registration to Rootstech 2012 (value $US129). The prizewinner will be responsible for all other conference expenses incurred including meals, accommodation, travel and incidental expenses. My team will choose the prizewinner from the entries received prior to the closing time. The winner will be notified at the email address supplied as soon as possible after the contest closing time. The winner's name will be published on the Geniaus blog. I received this comment on my website and am passing on this information for anyone who may be interested. I had previously reported one of Ian's talks at Castle Hill Library. I work at Baulkham Hills Library and would like to pass on details of a free genealogy event we are having next week. On Wednesday 16 November 2011 family history enthusiast Ian Beckett will be presenting a session from 10.30am to 11.30am on useful websites focusing on Australian family history research. If you or anyone you know would like to attend we would be more than happy to see you there. Bookings can be made at http://familyhistorywebsites-eorg.eventbrite.com/ or by phoning Baulkham Hills Library on 029761 5735. The Library address in Railway Street, Baulkham Hills. A Feisty Three Year Old? More than half a century ago a little girl celebrated her third birthday. Her family had not long taken delivery of its first refrigerator, television had not yet arrived in Australia and there was no telephone in the house. That little girl could not have imagined that many years later she would celebrate another third birthday with friends from all around the world being able to join the party via the magic of the internet. This was the stuff of fairy tales and science fiction. Here I am, an old girl, celebrating being three once more, not gathered round a table with half a dozen little mates but with anyone who cares to join in from anywhere in the world. 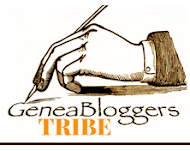 As the Geniaus blog is three today I turned to a number of parenting sites to see what the future holds for a feisty three year old like Geniaus. will exhibit a feisty attitude on occasion and resist your requests. So there you have it, for the next twelve months I will be less selfish, more responsive, sensitive, try to please and make more friends but reserve the right to remain independent and feisty. Wendy Blaxland's background in teaching, drama, and the theatre was obvious when she addressed the monthly meeting of the Kur-ing-gai Historical Society Family History Group yesterday. A natural speaker, Wendy had those gathered enthralled as she told the stories of her famous Blaxland ancestors and some 20th century family members. Wendy is a direct descendant of Gregory Blaxland who led the first crossing of the Blue Mountains. She related the history of the two Blaxland Brothers, John and Gregory, early free settlers in New South Wales, who became entrepreneurs and built beautiful homes on either side of the Parramatta River. John's house that became the original Newington College has now been restored and is part of the Silverwater Gaol while Gregory's more modest home Brush Farm has been restored by Ryde Council who have owned it since 1990. Audrey Blaxland, Wendy's mother, was an actress and drama teacher who began her acting career at the Independent Theatre in the 1940s where she met Wendy's father. Wendy shared with us stories of Audrey's involvement with the Pymble Players and the Marian Street Theatre where Audrey spent 12 years as the Principal of the Marian Street Theatre School. Wendy who has been involved in the theatre since she was five years old is still deeply involved with the Marian Street Theatre for Young People as a producer, writer and board member. Bohemian artist, Elizabeth Blaxland, an artist, sculptor and teacher at the East Sydney Technical College was the other 20th-century subject discussed. When Wendy first met her aunt, Elizabeth, who was in her 90s they immediately developed a strong bond. A number of Elizabeth's works are in the Manly Art Gallery. I only wish that some of the genealogy presenters whose talks I have endured heard could have seen Wendy's presentation. It was an examplar that we could all follow. Wendy spoke naturally from the heart without notes, she used elements of humour and surprise choosing words that tugged at our emotions. She drew us into her world through voice and eye contact supported by the use of artefacts. If you ever get a chance to hear Wendy speak grab it. Thanks to Jo Harris, Leader of The Family History Group at Ku-ring-gai for organising such a super afternoon. Congratulations to The Botany Bay Family History Society for embracing Social Media as they prepare to host the 28th Annual Conference of the NSW & ACT Association of Family History Societies in September 2012. The Conference has a Facebook page that provides regular updates on conference planning and activities. On the homepage of the conference website is a welcome the video from the conference convenor, Allan Murrin. The organisers have also harnessed YouTube where they have posted their promotional video "Attending a Family History Conference" pasted below. Coincidentally the first interviewee, Angela Lind, is a member of two of the societies to which I belong : The Society of Australian Genealogists and The Ku-ring-Gai Historical Society. Angela and others in the video were in attendance at the 2011 conference in Inverell. Will I see you in Gymea in September next year? Travelling down the freeway to the South Coast a number of weeks ago I was having a chat online via my android tablet with Cassie Mercer from Inside History magazine. I mentioned to her that I wouldn't mind writing for the magazine. Within the week I got a message from Cassie asking me if I could write an article within a few days. Of course I could; I immediately set to tapping out some notes on my keyboard. As much as I love my android I don't have a plug-in keyboard for typing up long articles on it so always turn to my laptop for long writing assignments. I edited my 1800 words down to just under the required 1200 and emailed it off. During my career as a teacher, librarian and IT guy I wrote many articles for journals and newsletters and when I was president of my professional association I seemed to be always writing. This new assignment was my first foray into the world of genealogy writing so I was understandably nervous. I so enjoyed working with Cassie who kept me in the loop at all stages of the publishing process, provided lots of positive reinforcement and lavished me with praise once my task was completed. Since I bumped into Cassie last week at State Records Open Day and she told me that the magazine had been delivered to her I have been anxiously waiting its arrival in my mailbox. On Tuesday and Wednesday others tweeted that they had received their copies and I received messages from Twitter Pals that they had read my article. The Inside History magazine was waiting for me when I got home this afternoon. I was thrilled to see my article in print and was delighted to be published in the same edition as Hazel Edwards who was one of my heroes with her "Hippopotamus books" when I was a children's librarian. I have heard Hazel speak on a number of occasions and particularly enjoyed her Antarctic stories. If you ever meet her ask about her parcel collection experience. I love my Android tablet and will be talking about it at the Rootstech 2012 Conference in Salt Lake City. Fellow genies Shelley from Canberra and Tanya from the North Coast have generously helped me with material for that presentation. If you are an Android user or would like to know more about my Android Adventure I'd love to hear from you. Meanwhile, might I suggest that you visit your local library or newsagent and grab a copy of the Inside History magazine that is brimful of great reading. Here's a sneak peek.